Cable/satellite TV - Veronica View. 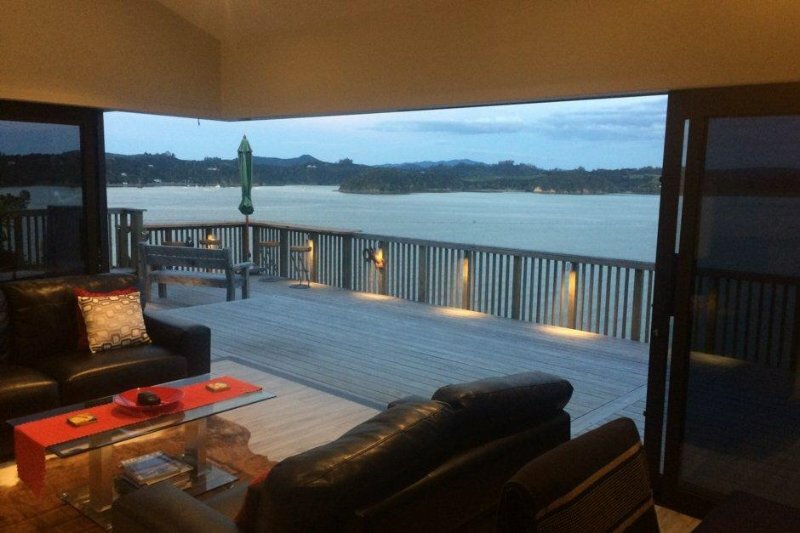 1 of 12Stunning evening views over Veronica Channel from the lounge. Smoking allowed outside only. Please advise if you have very small children (toddlers) or babies so we can help you secure the deck and organise a portacot to be made available. Parking for 2 cars only - other vehicles will need to park on Veronica Street roadside. Please leave the house clean and tidy, a $100 cleaning fee is chargeable should the property be left in a particularly untidy state. When you arrive we will greet you at the house and show you around. We have a comprehensive list of activities and attractions in the area and are more than happy to provide advice and recommendations for your stay. Thank you so much for your kind words. We are so glad you had a great stay and we would welcome you back anytime. 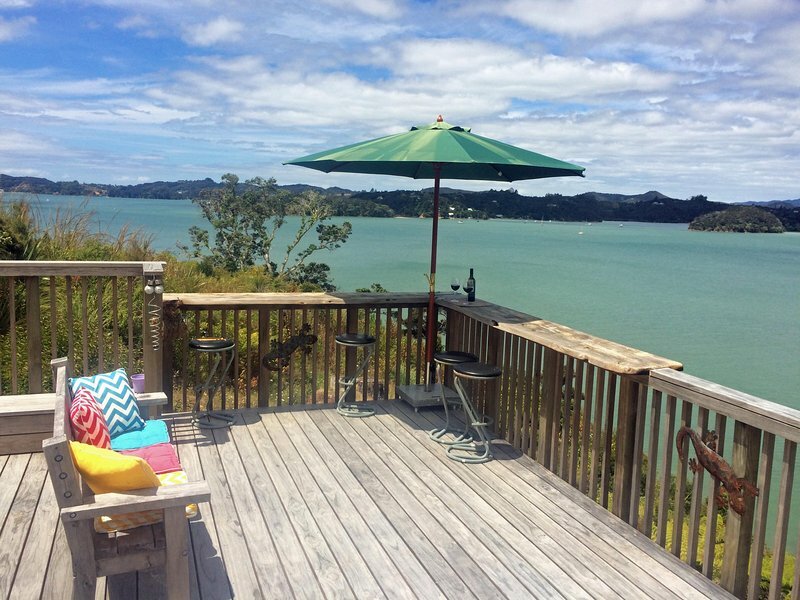 The Bay of Islands is an idyllic location. The bay has 144 islands to explore and all the facilities you'd expect in a seaside town. Boat tours, bus tours, helicopter tours, watersports, adventure sports and much more are all within 10 minutes of the house. Our comprehensive welcome pack provides a list of recommended 'must do' activities for your stay. While a car is not absolutely necessary, it is highly recommended. There are so many great things to see in the district that are off the beaten track. 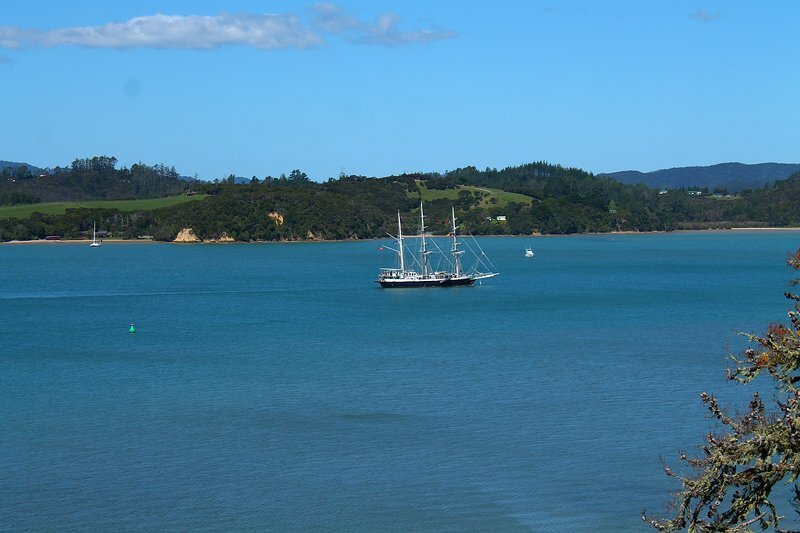 In Paihia there is a passenger ferry to Russell and there are heaps of boat and bus tours. Paihia town centre is a 15-20 minute walk.